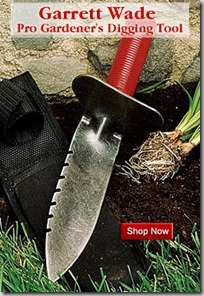 I’m always on the lookout for really special gift ideas for gardeners, because we sure get stuck with a lot of decorative-but-mostly-useless trowels (I mean, does anyone even use trowels anymore? I’m a hori-hori girl myself!). So when Easy Canvas Prints offered me (and you!) a free canvas print to try out, I immediately saw the potential. I mean, what gardener wouldn’t LOVE to have that perfect summer day in the garden immortalized to look at all winter long? Don’t we all have a favorite photo or two that we want to get around to printing and framing? While large-scale photo prints are nice, there’s something about having an actual canvas print that makes the whole production seem so classy and permanent. Like a real piece of art. 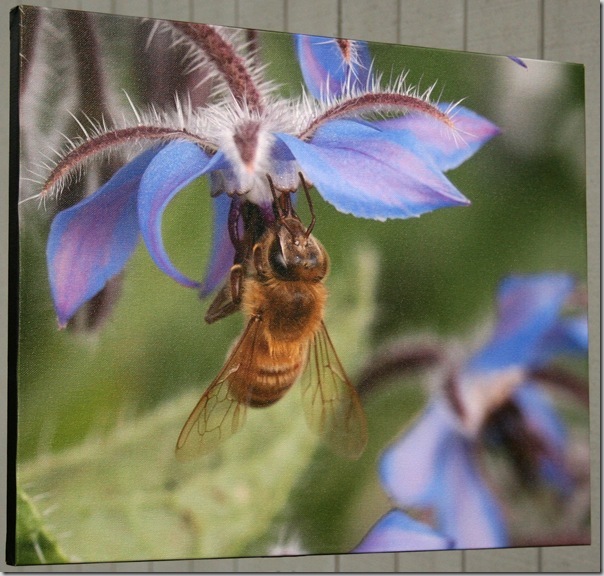 The process of ordering is fast: When you’re designing a canvas, you just have to find a clear digital photo (they have software that will crop it for you), choose what size canvas you want, and then choose what to do with the wrap-around bits on the side – either wrap the photo around the sides, or color the edges black. Since I don’t actually have a frame yet and just intend to hang my canvas print as-is, I chose for the edges to be colored black (I also thought it would be a good test of their printers, to see whether the black parts ended up perfectly aligned or not). After ordering, I waited impatiently for it to arrive. And it was exactly what I hoped for. . . Clear, crisp quality, true-to-life colors, and yep, the black edges were perfectly placed! Impressive, right? I love how rich the colors turned out. Want to win one for yourself or to give as a gift? Easy Canvas Prints has offered up a free 8″ x 10″ canvas print to one lucky winner. Just comment below for your chance to win! EDIT: Jennifer P. won! Congrats, Jennifer! If you want to get started turning your photos into canvas right away, they’re running a deal where if you “like” them on Facebook, you get 50% off your order and free shipping, which brings it into the realm of a reasonable gift for your mom, grandma, or garden club president. Contest fine print: Easy Canvas Prints can only ship within the contiguous United States, and can’t ship to a P.O. box. I’ll randomly pick a winner on December 7th, 2011. Good luck! 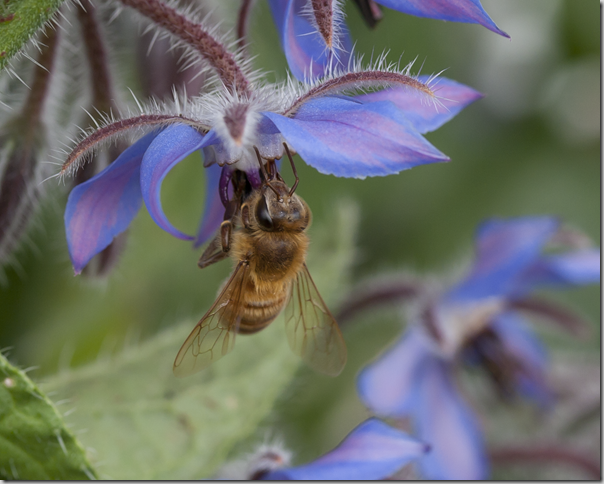 Great photo of the bee & borage! That turned out beautifully! I would love to win this! The hardest part would be deciding if I give it as a gift or keep it myself. I would love to have one of my garden photos on a canvas! I have the perfect photo for this! It won’t end up in Storage. I’d love to have one of these prints! I’ve got several photos in mind…. I have several garden shots that would make Monet drool! I hope I win! My mom has a darling pony that I think she’d love to have a gorgeous picture of. It would make such a nice present! my sister takes beautiful pictures of her garden and this would be a great gift for her! You picked a good example of what can be done. It would be nice to have my own photo given this treatment. Bring a little sunshine into the household. Thanks for the chance. That would be a great addition to the house. Thanks for a chance to win. 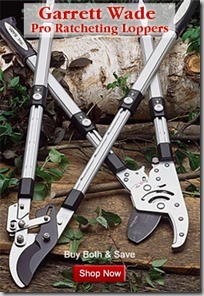 I would enjoy one of these, or to give as a gift! Lovely. Thanks for sharing. Your canvas turned out amazing! I’d love to try this with one of my photos! That is a great idea, and I have dozens of photos of my flowers and plants that wold be nice to use. I would love to win, we want to send a picture to the family the adopted my daughters baby almost two years ago. What a great gift this would make. Heading on over to like them on Facebook! What a great idea! I have so many photos that would look great on canvas! really wonderful pic and awesome give away!!!! i love photography, have many pics to get canvased!!!!! Beautiful photo! I would love to win this! So excited!!!! Thank you for the giveaway. I’m afraid I’m going to be greedy and keep this one for myself…..